We are delighted to announce that World First has been awarded the prestigious 2016 Queen’s Award for Enterprise in International Trade – the UK’s highest honour for international business success. The accolade was awarded for our innovation in cross border currency transfers and the business’ role in facilitating international trade for UK SMEs, including online marketplace traders. The award is the highest form of recognition for business success in the UK and is presented following recommendation to HM The Queen by the Prime Minister. Awards are made today, the 21st April, the occasion of the Queen’s 90th birthday. Having transferred over £26bn for more than 75,000 businesses and individuals since 2004, the award is also recognition of our rapid growth. In the last two years alone, we have grown from 200 people to over 400 today with offices in five countries around the world. 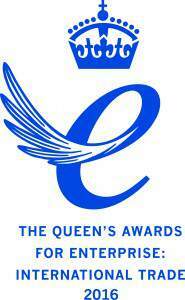 The Lord-Lieutenant of the County, The Queen’s local representative, will present the business with the award later in the year. World First’s co-founders, Jonathan Quin and Nick Robinson, will also attend a reception at Buckingham Palace in July. This week also saw us launch our inaugural quarterly Global Trade Barometer which captures the behaviours and outlook of UK SMEs when it comes to foreign exchange.